As you were reading the previous part of this article, you would have realized the uniqueness of the way in which Christianity was introduced and propagated in the Joseon Kingdom of Korea, whereby virtually no foreign missionaries were involved. Instead, the Koreans themselves were responsible for the rapid spread and acceptance of the gospel, thus giving Christianity a “by the Koreans and for the Koreans” image, in contrast to most other nations whereby the gospel spread as a result of the efforts of foreign missionaries. Nonetheless, its rapid spread also meant that it was bound to face a rapid decline after the issuance of an imperial edict denouncing Christianity as an illegal teaching, consequently resulting in a large dropout of its adherents. Even with the zealous preacher Yi Byeok dead and many top leaders of the church organization at that time dropping out, did the gospel subsequently die off just like that? Do continue reading to find out more! No doubt, many Silhak scholars who held positions of leadership in the Korean church at that time bowed down to immense pressure placed on them to renounce Christianity. They were subsequently compelled to deliver apologies in writing and in person to their respective clans for becoming Christians. However, many of these church leaders later began to regret their actions and decided to return to Christianity to reform the church and reorganize themselves. Thus, in 1787, the Korean church was reorganized, with Yi Sung-hun taking the central role of supervising the running of the church, appointing priests and monitoring the performance of masses and church rites. With his prior experience in the Catholic Church during his short stint in Beijing, Yi was able to remodel the Korean church based on the Chinese Catholic Church of the era. 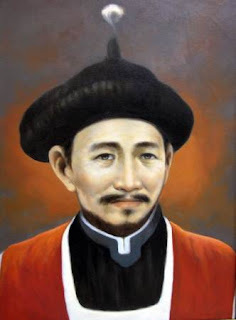 Many prominent Korean Christians were appointed as “priests” under Yi, such as Kwon Il-sin (권일신 / 權日身) (1751 – 1791), Yi Tan-won (이단원 / 李端源) (?-1801), Yu Hang-geom (유항검 / 柳恒檢) (1756 – 1801) and Choi Chang-hyeon (최창현 / 崔昌賢) (1759 – 1801). Choi, in particular, was himself a translator who played a major role in rendering many Chinese Christian materials brought from Beijing into Korean. 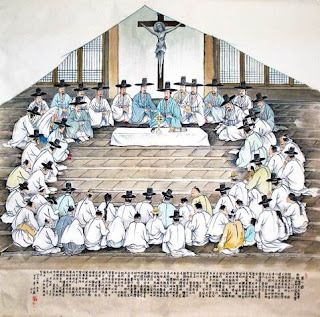 As “priests”, they exercised their “spiritual authorities” of conducting masses, baptism and administration of sacraments regularly, besides spreading the gospel and bringing in more people into the Korean church. These they did until they learnt from further reading that they did not possess the authority to carry out the aforementioned duties, since they were not officially ordained priests. By consensus, the Korean Christians then decided to clarify the matter by seeking advice from the Catholic missionaries in Beijing. Yi Sung-hun wrote a letter to the Catholic missionaries in Beijing in 1789 to enquire about the matter and to clarify the position and duties of priests and lay leaders in the church. Nevertheless, one of the greatest challenges that the Korean church had to face in delivering the letter was to dispatch an envoy clandestinely without raising suspicion and hostility towards the Korean Christians. Yi and the other church leaders knew very well that in the wake of King Jeongjo’s imperial edict against Christianity, any wrong move that may raise the suspicion and ire of the opponents of the gospel would prove disastrous for the position of the church in Korea. The plan was devised carefully and executed smoothly. 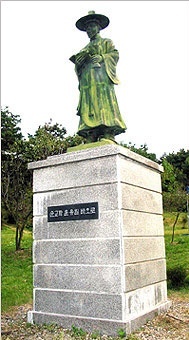 A Korean Christian by the name of Yun Yu-il (윤유일 / 尹有一) (1760 – 1795) was chosen as the messenger to deliver the church’s letter to the Catholic Church in Beijing. Yun disguised himself as a merchant and followed a winter delegation to the Qing imperial court in Beijing. Upon arrival in the Chinese imperial capital, Yun was able to covertly deliver the letter to the Catholic missionaries there, who then wrote an explanatory reply letter in return. The contents of the letter were somewhat forgiving and favourable. 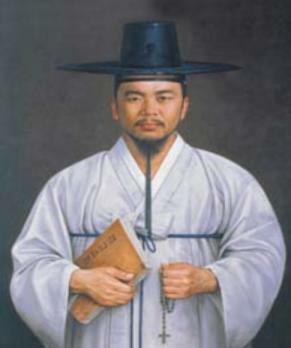 While it did not blatantly reprimand or criticize the actions of the Korean Christians for carrying out the priestly duties which were not under their authority, it diplomatically pointed out that they should repent of their mistakes and come up with appropriate solutions to participate in the holy sacraments of the church. The Catholic missionaries in Beijing also praised the Korean Christians for their remarkable initiative and perseverance in propagating and preserving the gospel throughout the Joseon Kingdom, besides stating that they understood that the Korean Christians had taken on those priestly roles out of good intention amidst a lack of proper understanding of the functioning of the Catholic Church. Upon receiving this reply, the Korean Christians finally realized that they needed an ordained priest to be amongst them in order to administer the holy sacraments and carry out the priestly duties in the church. In response to this reply, Yi wrote another letter to the Catholic missionaries in Beijing the following year, this time to request for a priest. 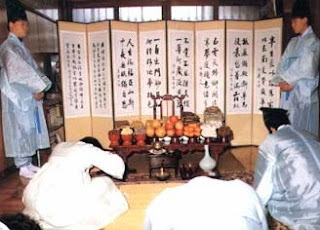 Moreover, since the Jesa rites (제사 / 祭祀), that is the rites of honouring one’s ancestors (what some may call “ancestor-worship,” depending on how it is viewed), became a major issue plaguing the Korean church at that time, Yi also included an enquiry about the matter in the letter. Once again, Yun was selected for the job of delivering the letter in secrecy to the Catholic Church in Beijing. He disguised himself as a merchant and followed another Joseon delegation that was sent to the Chinese imperial capital to celebrate the birthday of the Qing Emperor. After reading the contents of Yi’s second letter, the Catholic missionaries in Beijing gave a two-point reply: firstly, that Korean Christians are not permitted to perform the Jesa rites due to the fact that such practices are deemed idolatrous and tantamount to worshipping one’s ancestors; and secondly, that the Church in Beijing pledged to send missionaries to Korea as soon as possible, but could not do so immediately due to the shortage of missionaries and priests in China at that time. Indeed, the issue of performing the Jesa rites is similar to the Chinese Rites Controversy that Chinese Christians during the late Ming and Qing Dynasties faced, which I have discussed in the article pertaining to Catholic Christianity in the late Ming and early Qing Dynasties. With this reply from the Catholic Church in Beijing, many Korean Christians decided to drop the practice of Jesa rites and waited eagerly for the arrival of any Catholic priest whom the Church may send to Korea. This mass abandonment of the time-honoured Jesa rites customary to the Koreans sparked the ire of many government officials and neo-Confucian scholars, claiming it to be a downright infringement of traditional culture and filial piety. King Jeongjo was once again compelled to give his approval for the rounding-up, arrest and execution of Korean Christians on such a basis. Due to this incident, several Korean Christians were captured and placed under immense torture to force them to recant their faith, refusal of which would then result in their brutal execution. Amongst those captured and tortured mercilessly were Kwon Il-sin and Yi Tan-won. Kwon was banished after a pitiless bout of torture, in which he eventually died from severe wounds. Yi reportedly recanted his faith after constant ruthless torture, and so did some of those captured as well. The others, who unwaveringly refused to let go of their faith, were then sent to their martyrdom with imperial consent forced out of the king’s reluctant mouth. King Jeongjo himself had a more sympathetic stand for the Christians, and this was shown by the fact that he issued a pardon for the Christians at the last minute, not wanting to shed any blood, but the pardon came too late to save them from execution. In the aftermath of this second bout of persecution against Korean Christians, the need for a priest to be sent to Korea for spiritual guidance became all the more crucial. Once more, a letter pleading for a priest was delivered to the Catholic Church in Beijing, this time yielding a much desired response. A Chinese Catholic priest and missionary, Zhou Wenmo (Chinese: 周文谟, Zhōu Wénmó) (Korean: 주문모 / 周文謨, Ju Mun-mo) (1752 – 1801), was dispatched to Korea in 1794. When Father Zhou arrived safely in Hanseong (present-day Seoul) early in 1795, he was delightedly surprised to find out that there were already over 4000 believers in the Korean Catholic church, despite all the past persecutions that had been launched by the imperial government. His arrival was welcomed warmly with great joy and comfort amongst the faithful in the church. Father Zhou took up his initial residence in the house of Choi In-gil (최인길 / 崔仁吉) (1765 – 1795), an official translator in the imperial government. Father Zhou’s presence in Hanseong became a great boon to the progress of the church and the advancement of the gospel in the Joseon Kingdom. He reorganized the Korean church, held mass and administered the holy sacraments with immediate effect after his arrival in the Korean imperial capital. He did much to translate Chinese Christian materials into Korean, as well as writing new books and instructing the Korean Christians in the gospel. With his tireless efforts in breathing new life into the Korean church, the church grew steadily in number and stability. Despite carrying out his activities as covertly as possible, the authorities were not fully unaware of the Catholic priest’s presence. Just within six months after his arrival in Hanseong, a raid on Choi’s residence was ordered, and Choi was apprehended and executed immediately under the charges of housing a foreign priest secretly. Father Zhou escaped capture and subsequently took up residence in the house of Kang Wan-suk (강완숙 / 姜完淑) (1761 – 1801), a member of the nobility and a highly respected woman in society. Kang herself was an active teacher of the gospel and was highly active in bringing in more women and young girls into the Christian faith. With Father Zhou now taking up residence in Kang’s house, it soon became the centre of Christian activity and propagation. This was a wise move, as Kang’s high social position granted her relative protection and immunity from having her house searched or raided by the authorities. Christian gatherings were often held secretly in her residence, as well as in the houses or shops of many other members of the church, since church buildings could not be legally constructed at that time. In spite of all the challenges and difficulties that Father Zhou had to face in spreading the gospel and managing the Korean church, he nonetheless succeeded much in expanding the Christian community in the Joseon Kingdom. With continuous assistance from all the church leaders including Kang herself, as well as from many of the members of the church, the number of Korean Christians multiplied from approximately 4000 during Father Zhou’s arrival in Hanseong in 1795 to more than 10,000 by 1801, right before the Sinyu Persecution which I will be discussing later. These numbers include two princesses from the imperial household and Jeong Yak-jong (정약종 / 丁若鍾) (1760 – 1801), the brother of Jeong Yak-yong. Jeong Yak-jong subsequently became a vital boost to the spread of the gospel in Korea, as he was responsible for writing several important Christian materials using the hangul script, the native Korean script which was more widely used amongst the lower classes at that time. This enabled the gospel to spread much further among the working and labouring classes of society. 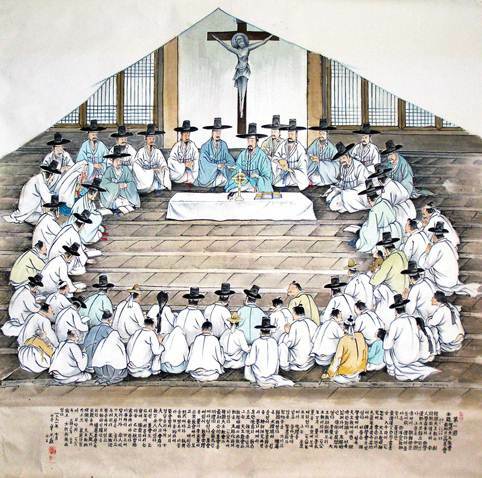 Through the vigorous efforts of these early Korean Christians, Catholic Christianity was able to spread not only within the imperial capital of Hanseong (Seoul), but also to almost every neighbouring province. Large populations of believers could be found especially in the provinces of Jeolla (전라 / 全羅) and Chungcheong (충청 / 忠淸), thanks to the efforts of the early Korean Christians in propagating the gospel in their respective hometowns and villages. In the years after Father Zhou’s arrival in Hanseong, Catholic Christianity flourished tremendously throughout the Korean Peninsula without much interference from the imperial government. 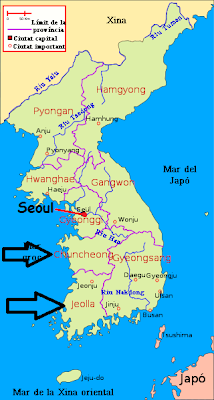 This was also partially due to King Jeongjo’s policy of sympathy and tolerance towards Christians, not wanting to shed the blood of innocent subjects. Things, however, took a turn for the worse with the demise of the Joseon king in 1800, followed by the ascension of King Sunjo (순조 / 純祖) (1790 – 1834) to the throne as a minor. Because of this, Queen Jeongsun (정순 / 貞純) (1745 – 1805) reigned as Queen Regent in place of the minor king. 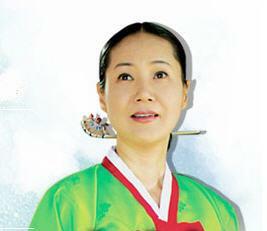 Queen Jeongsun came down hard on the Korean Christians throughout her kingdom. With immediate effect after the mourning period for King Jeongjo was over, the Queen Regent issued an imperial decree which declared Catholic Christianity an “evil learning” and equated its practice to committing treachery against the state, destroying social morality and disrespecting customary practices. Additionally, the head of every family was required to ensure that every Christian member in his family or clan was adequately pressured into abandoning the faith. The queen’s imperial decree thus sparked the great Sinyu Persecution (신유박해 / 辛酉迫害, Sinyu Bakhae) of 1801. Approximately 300 Catholics were beheaded during this major persecution, including Kwon Cheol-sin, Yi Sung-hun, Jeong Yak-jong, Yu Hang-geom, Choi Chang-hyeon, Yi Tan-won, Kang Wan-suk and Father Zhou. Thousands of others were arrested, tortured and banished into the wilderness. 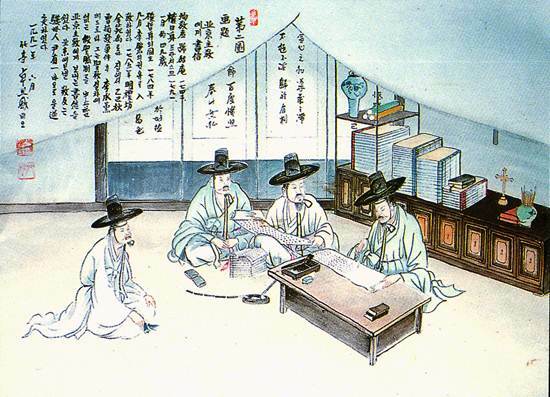 Things were, in fact, made worse upon the interception of a letter written by an aristocratic Korean Christian leader by the name of Hwang Sa-yeong (황사영 / 黃嗣永) (1775 – 1801). Disillusioned by the persecution against Korean Catholics, Hwang wrote a letter to the Catholic Church in Beijing, pleading for military intervention from Western forces to protect the Korean Church. Unfortunately, the letter was intercepted, and it was subsequently used as proof to accuse Korean Christians of being treacherous to the kingdom by seeking foreign intervention. Hwang was later apprehended, and persecutions against Korean Christians increased in aggressiveness. 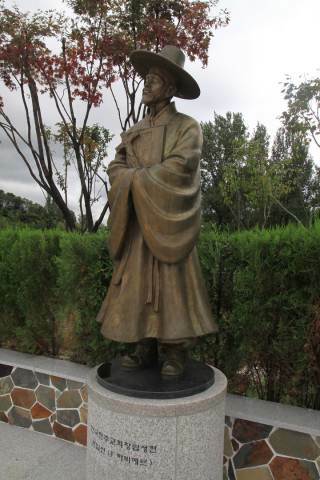 With the Sinyu Persecution claiming the lives of Korea’s only ordained priest and many prominent church leaders at that time, Queen Jeongsun’s aspiration of uprooting the “evil learning” from the Land of the Morning Calm seemed to have been successfully achieved. The Korean Church was virtually wiped out on the surface, but it managed to go underground and elude imperial surveillance most of the time in the years to follow. So, how did the church fare in these subsequent years? View the next part of this article to find out more. 1) Choi, J.K. (2006), The origin of the Roman Catholic Church in Korea: an examination of popular and governmental responses to Catholic missions in the late Choson Dynasty, The Hermit Kingdom Press, Norwalk, CA. 2) Grayson, J.H. (1985), Early Buddhism and Christianity in Korea: a study in the emplantation of religion, E.J. Brill, Leiden, the Netherlands.